Today’s power generating plants face two major factors: reduced maintenance budgets and competition from renewable energy. Maintenance budgets are tight, often forcing managers to put off problems that really require serious attention. The increasing popularity of renewable energy sources is diminishing the demand for traditional fossil power generation. As a result, plants are regularly operating below intended capacity or coming off line. Base-loaded fossil power plants operating at reduced generating capacity or become cycling units places heavy demand on control valves in ways they may not have been designed to operate. When control valves operate below their intended capacity they operate closer to their sealing surfaces than intended. This reduced flow rate greatly increases the velocity within the valve and increases potential erosion. This is especially true on Feedwater and Boiler Feedwater Pump recirculation control valves. Plant managers can begin minimizing control valve seat erosion and reducing subsequent maintenance costs by reviewing sizing of control valve internal trim. Trending data is excellent for determining actual operational conditions versus what was recommended in the valve specifications. Less than 10% open should be avoided since the valve will wear quickly. Plan to keep the range of control valve operation between 20% and 80% open. If trending information on the valve is available, managers can quickly see if they are operating within the proper range. If not, they can provide the control valve manufacturer with new operational conditions and request suggestions on improving low flow performance. Downsize to a smaller valve. 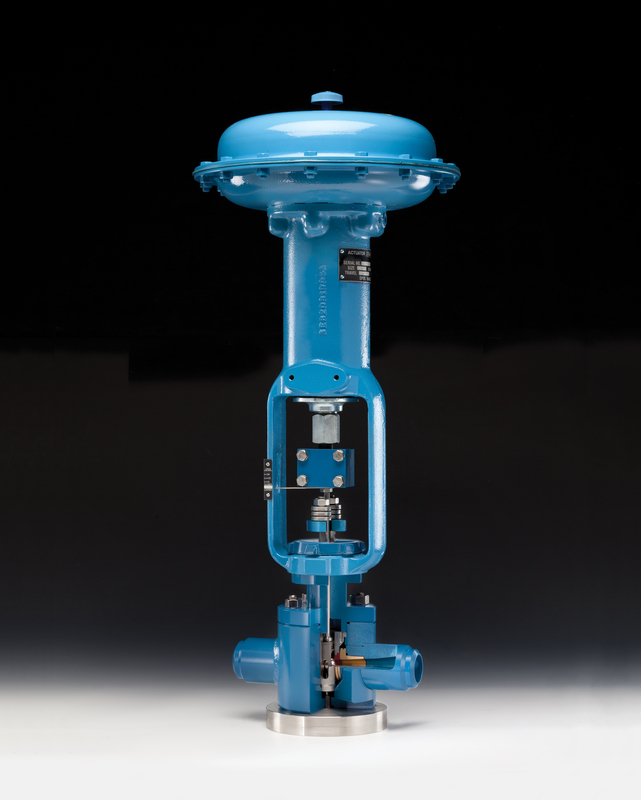 While a full control valve replacement is more expensive than a trim replacement, both solutions deliver significant long-term maintenance and operating savings. DFT®’s HI-100® is a competitively priced severe service control valve with a low total cost of ownership. With robust features designed for long service life, the HI-100® will help keep a plant’s maintenance budget in line. To receive monthly control valve Newsletters sign up for the DFT® Control Valve Newsletter. Thanks for pointing out how site managers can easily see if the valves are working under the proper range if the trending information in the machine is readily available. I would that this feature is a must for people to achieve maximum efficiency and avoid any disasters in the main pipeline. This is a really insightful read about valve maintenance!